Do Ho Suh, The Fallen Star 1/5 (2008-2011). All images taken by A. Marjanovic for Art Observed, unless otherwise noted. Exploring themes of multicultural identity, Do Ho Suh presents installations and drawings at the Chelsea location of Lehmann Maupin in New York. 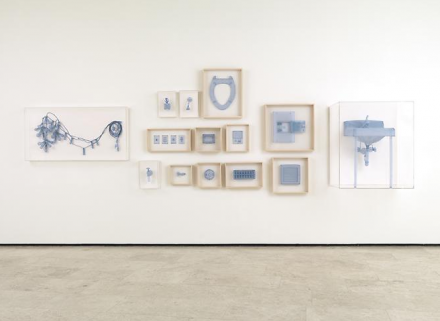 Titled Home Within Home, the exhibition reflects the artist’s personal experiences of moving from Korea—where he was born and raised—to the US. Layering and inserting Korean imagery over and within large-scale architectural installations, Suh conveys his feelings of being “dropped from the sky,” according to the press release. 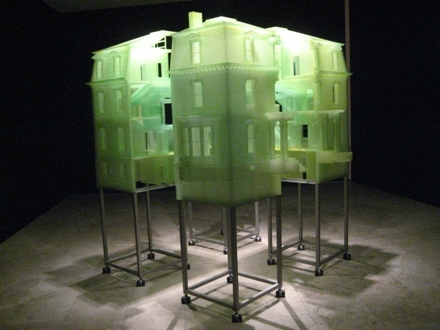 Do Ho Suh, Home Within Home, 2009-2011. Do Ho Suh, The Fallen Star 1/5 (2008-2011). Having created an entire allegorical tale do explain his current situation and how it came to be, Suh’s Fallen Star 1/5 translates the tale—complete with drawings—into three-dimensional representation. Devoid of people, the installation collides imagery of upheaval and relocation with that of functional living space. 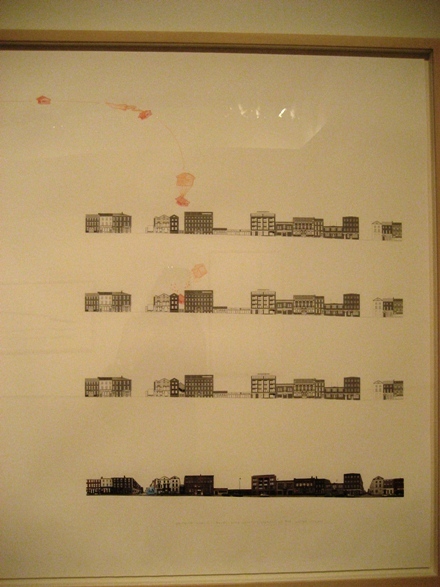 In Home Within Home, generic and translucent housing units are expanded to reveal both Suh’s Korean and New York homes, the first within the other. While seeming a somewhat comfortable fit, one can’t help but notice the much larger, enveloping American structures. Installation still. Via Lehmann Maupin. 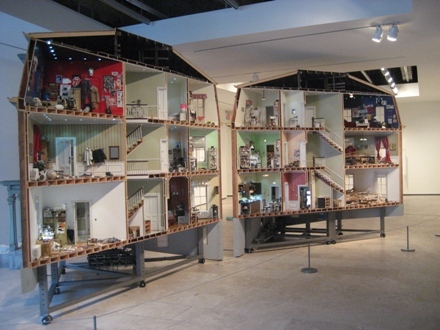 Also showing are sculptures of objects from within the artist’s home, replicas made of fabric. If the walls were to be removed, these objects would be left. Home Within Home intimately addresses the artist’s multicultural identity as he seems to grapple to understand his own identity within the much broader, international social spectrum. This entry was posted on Wednesday, September 21st, 2011 at 12:47 am	and is filed under AO On Site, Art News, Go See. You can follow any responses to this entry through the RSS 2.0 feed. You can leave a response, or trackback from your own site.